Throughout Turkish military history, the nation’s strategic depth has been evaluated as a key asset of defense. Within this military thought, conventional capabilities have always been seen as crucial in creating a tangible difference between the geopolitical norms of “front” and “behind the frontlines”. However, in the recent decades, drastic shifts in Turkey’s regional threat landscape with regard to strategic weapons proliferation, namely ballistic missiles and weapons of mass destruction (WMD), have gradually altered the Turkish geopolitical reality. Clearly, while striking critical national infrastructure and attacking high-value targets in the nation’s geopolitical core around Istanbul would have been nearly impossible for a Middle Eastern adversary in the past, at present, a scenario considering WMD-tipped ballistic missile salvos could theoretically change the entire calculus. In fact, the current Middle Eastern defense trends suggest that the regional military balance tends to split into the two extremes of the “warfare scale”, namely, low intensity conflicts on one hand, and strategic weapon systems on the otherThe author of this report has previously expressed this claim by indicating that future wars in the Middle East will be fought by the AK-47s at the hands of irregulars and WMDs by missile forces. For the full text see: Can, Kasapoglu. “Future of War in Middle East: Between AK 47s and Nukes”, The Jerusalem Post, October 10, 2012. . Therefore, in order to be a major power in the Middle Eastern strategic balance, which is one of the main objectives of the current Turkish foreign policy doctrine, Ankara has to successfully address the requirements of the current and future regional military parameters. As a matter of fact, since the first Gulf War (1991), Turkish administrations have had to demand deployment of NATO missile defense assets in order to mitigate risks posed by two different Baathist regimes in two Arab nations, Iraq and Syria. Besides, although there has been a two decades gap between the first Gulf War and the ongoing Syrian Civil War, Ankara still lacks national ballistic missile defense capabilities, and as of 2014, Turkey remains as vulnerable as it was in 1991. Finally, and more importantly, within the concept of intrawar deterrence, which this paper explains in detail, Turkey’s lack of defensive strategic weapons to counterbalance its regional competitors’ offensive strategic weapons is degrading Ankara’s ability to influence outcome and conduct of wars in its immediate security environment. 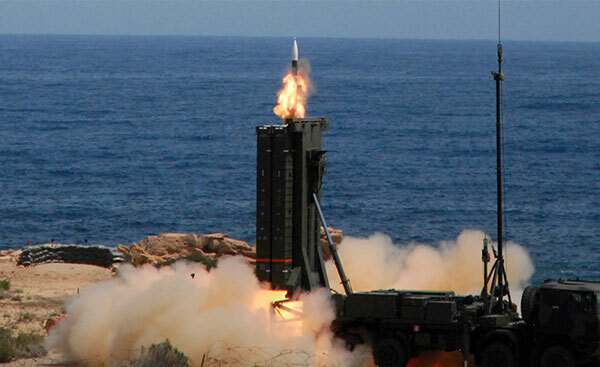 In this regard, Turkey’s long range air and missile defense system (T-Loramids) projectFor the Project updates and information see: The Undersecretariat for Defense Industries, Accessed on: August 19, 2014. must be seen more than “simply military modernization”, but as a major step to answer the decades-long strategic weapons threat. The lucrative 4 billion$ project was announced in 2009 by ruling out the Russian and Chinese state-to-state negotiating tendencies. Moreover, although declared as an off-the-shelf deal, co-production option has been on the table since 2013http://www.defensenews.com/article/20130623/DEFREG04/306230007/Turkey-May-Adopt-Chinese-Air-Defense-System, Accessed on: August 19, 2014. . As Ankara has shown signs of pting for the Chinese HQ-9 system, a fierce debate was ignited among the global strategic community with respect to political, military, and defense economics aspects of the issue. As recently as August 2001The Undersecretariat for Defense Industries, press statement, August 26, 2014. Full text (in Turkish), Accessed on: August 27, 2014. the Undersecretariat for Defense Industries, Turkey’s main procurement authority, extended the deadline to December 31, 2014 for the submission of improved bids4. This report is the main analytical product of a research that aims to explain the military strategic and geopolitical rationale underlying the T-Loramids project, and to analyze the pro et contra of the Eurosam’s Aster-30 Block-1 bid. In fact, while the T-Loramids deal was handled by many studies up until now, this report tries to address two gaps in the literature. Firstly, apart from the technical details and updates about the tender, the paper focuses on the military context and rationale of the T-Loramids project. Secondly, the report has a particular focus on the Eurosam bid. In fact, such customized studies on specific weapon systems’ advantages and disadvantages would clearly help the global strategic community to develop a better understanding on the Turkish defense affairs. In this regard, the Istanbul-based think-tank Center for Economics and Foreign Policy Studies (EDAM) has previously penned a similar report analyzing the Chinese HQ-9 offer within the T-Loramids contextFor the referred EDAM report visit: http://www.edam.org.tr/Media/Files/1147/TR_China_MD.pdf.. This paper firstly addresses the historical background of Turkey’s vulnerabilities against the Middle Eastern strategic weapons proliferation. Secondly, Turkey’s planned military strategic posture in the 2020s and beyond is explained, along with the importance of gaining missile defense capabilities for Ankara. Thirdly, a net assessment on the Middle Eastern strategic weapons calculus and the raison d’être of the T-Loramids project is laid out. Subsequently, a section focuses on the Eurosam bid and the Aster-30 Block-1 option with regard to Ankara’s defense requirements. Finally, the report presents its findings.